Despite Hurricane Irene rolling through New York City this weekend, the Samsung event in NYC went on where a a new Galaxy S II smartphone and Galaxy Tab 8.9 tablet were announced. Samsung announced 4G LTE versions of its Galaxy S II smart phone and Galaxy Tab 8.9 tablet on Monday, but hasn’t yet said when the devices will hit the U.S. The LTE versions of the devices will be capable of running on 4G LTE networks, such as Verizon’s 4G network in the U.S. 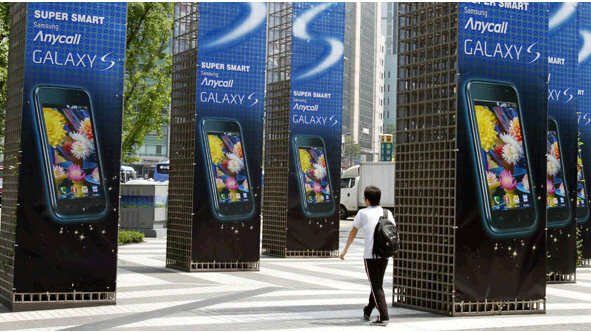 The Galaxy S II is expected to launch in North America before Apple’s iPhone 5. Sprint’s current 4G network is built using wi-max technology and T-Mobile’s current 4G network is an HSPA+ network. AT&T is in the process of building out a 4G LTE network for a late 2011 launch. Sprint has said that it will add an LTE network in the future as well. Samsung is hosting an event at this week’s IFA conference in Berlin, where it is rumored to announce stateside release dates and pricing. The new Galaxy S II is Samsung’s top phone with a 4.5-inch touchscreen, 1.5GHz dual-core processor, and Google’s Android Gingerbread operating system. The Galaxy Tab 8.9, featuring a screen resolution of 1280 x 800 pixels and Google’s Android Honeycomb OS, is essentially a small-screened version of the Samsung Galaxy Tab 10.1.